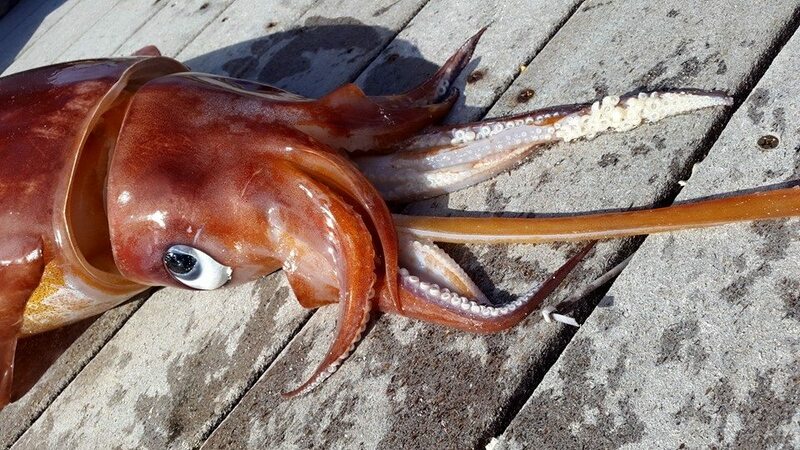 Update 1.06pm: Mr Aming said that this is a Rhomboid Squid, also known as Diamondback Squid. He explained that they normally stay so deep in the ocean that they are not often seen by people. Mr Aming, who frequently dives, told Bernews he has never seen before while diving, but has seen their egg sacs before. Mr Aming explained that he himself didn’t actually find it, Travis Lewis did, with Mr Lewis calling him once he found it on at The Reefs on the South Shore. He said while they didn’t weigh it, he would guess it weighed around 40lbs. Wow. Seeing that while diving would be something! That looks good for calamari! Yes Commodore JB, I have speared a few of those on my numerous dives offshore in my extra tight wetsuit! Put it back in the ocean. It belongs in an aquatic environment. Leave it be. I am only speculating, but I believe when they say” washed up” that it is already dead. I could be wrong but that’s what I interpreted. Remember all the stupid mistakes the last OBA Premier did which cause him the leadership position? That’s a BIMFORD! It washed up on shore. The aquatic enviroment didn’t seem to want it. Glad you found it, and your doing right thing. Very happy to see such legendary name surface. Miss your dad a lot honored to know him. I thank your family for years of memories for so many. Where on the South Shire was it found? The Reefs if you read the article. 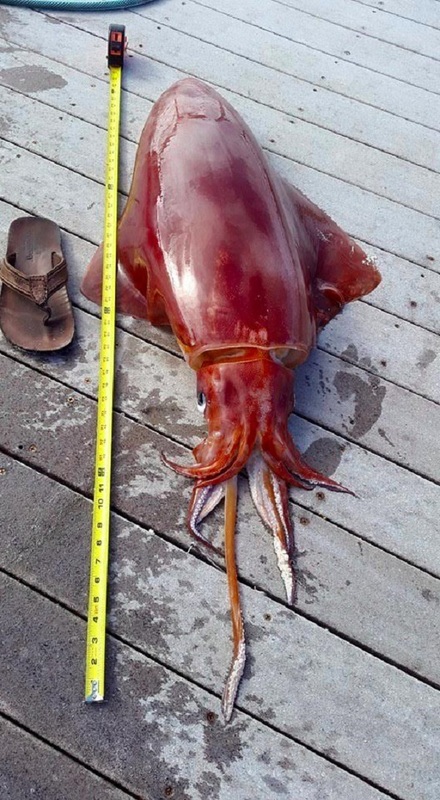 How low will the OBA sink, now they are letting foreign creatures wash up on our beaches…..even worse, south shore not north shore like Shelly bay or ducking stool where the locals are….. Thanks for the chuckle. You have me Kraken up! Any minute Mockingay will be moaning about how the squid will want PRC. I thought bout it but you beat me to it, and if it survived I would have asked it is it here to help suppress the people or help the cause. wonder what changes might be happening in the waters around us. 2 days shy of a year ago a huge Sun Fish washed up on John Smiths Bay – remember?